Durrell Unger (Dee) Howard is internationally recognized for his many technical contributions that advanced the state of the art in business aviation. 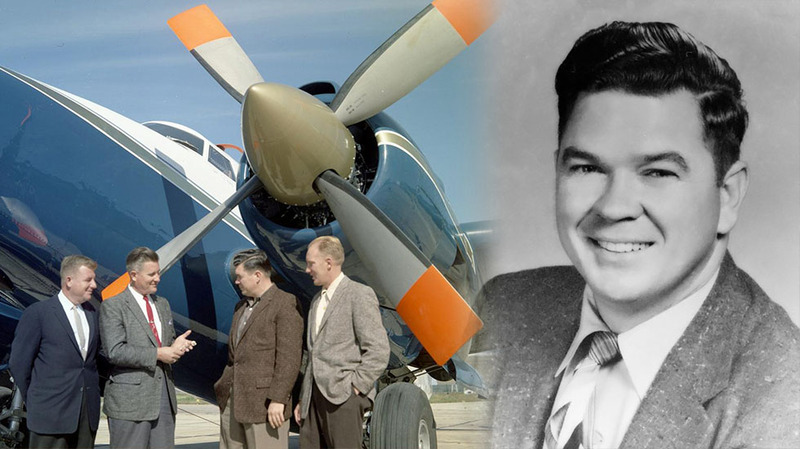 He established the San Antonio-based Howard Aero Company in 194 7 and made a name for himself converting military aircraft into high-performance long-range business aircraft, including the Howard 250 and 350. By late 1958, Dee had finalized the design of the Howard 500, the first transcontinental executive plane. The Howard was considered a new aircraft, carefully designed by Dee and his staff. It was not a conversion, although it was considered a highbred in that it used parts from other planes to save time and reduce costs. He built a total of 17 Howard 500s by the early 1960s. The advent of turbine planes and small jets drove Howard Aero Corporation into near bankruptcy and by late 1963, Dee agreed to sell half of his company to an outside investor. Dee later became friends with Bill Lear whom he helped with the Learjet. Dee came up with a new wing design to remedy the in-flight stability problems of the early Learjet. He built the first full-scale Learjet mockup and invented the thrust reversers that are still in use today. Later, he opened The Dee Howard Company, becoming world renown for his skills in lavishly converting large jet aircraft for heads of state. One such conversion was the modification of a Boeing 747-300 for his Excellency King Fahd of Saudi Arabia, which features a hospital operating room and an elevator. It is in use today. Dee Howard has more than 30 U.S. patents in the aviation and automotive fields. He is the recipient of several prestigious awards for achievement in the airline industry. In 1990, he sold The Dee Howard Company and passed the baton to others in the aircraft industry.